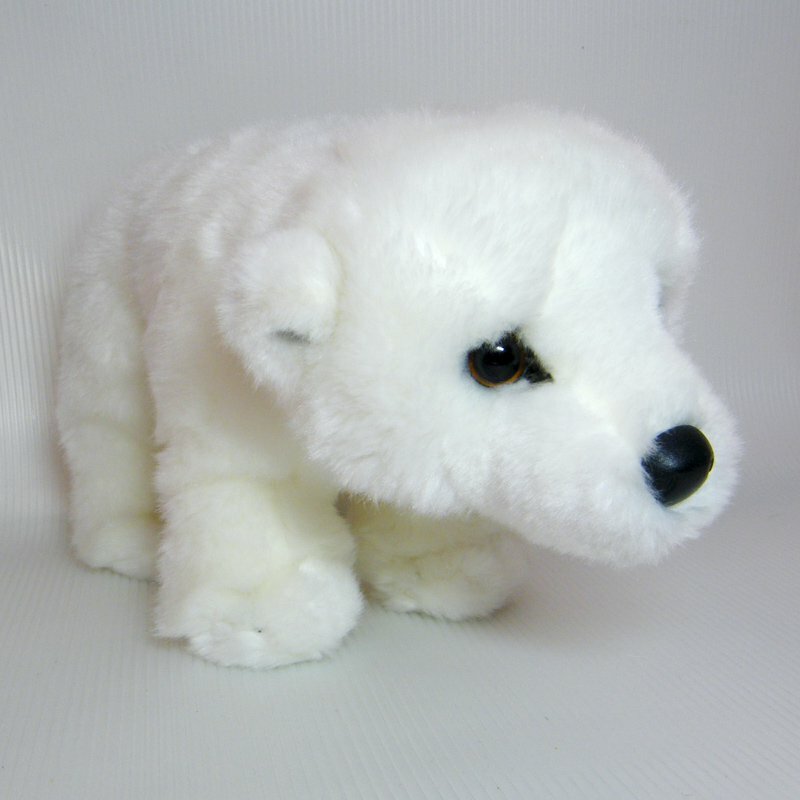 Stylish Polar Bear APUT (also means “August”, in French) by Douglas Cuddle Toys measures 11” from nose to hind foot and stands 6” high to the top of the head. Brown plastic eyes have black airbrush details around the sockets, and a dab of airbrushing to accent the ears. Black plastic nose and stitched toes. Please view pics for the visual description. From a smoke free home. Thanks for looking.